I was provided a Starbucks Verismo Brewer and Starbucks coffee pods from Staples for my personal enjoyment in exchange for my honest feedback. I was not compensated for this post or for hosting this giveaway in any other way. All opinions expressed below are 100% my own. 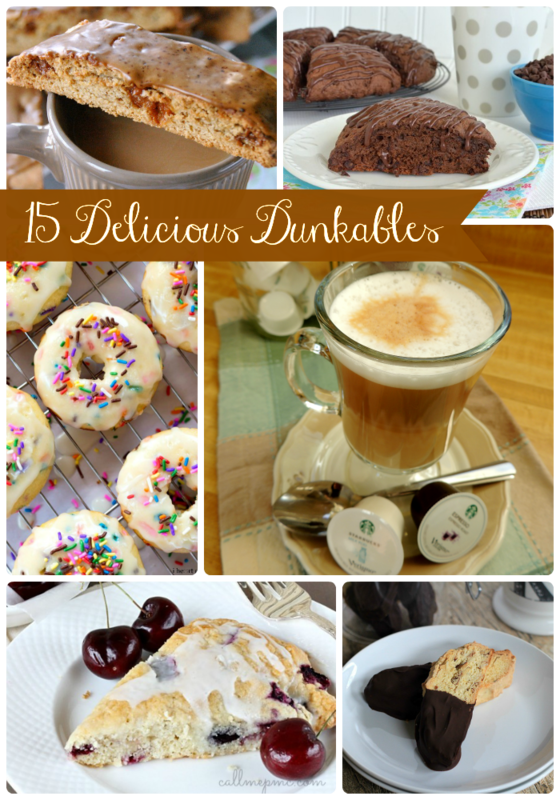 I think that a quick scroll through the recipes on my blog will reveal two things about myself to my readers- I LOVE coffee. And I adore my slow cooker. 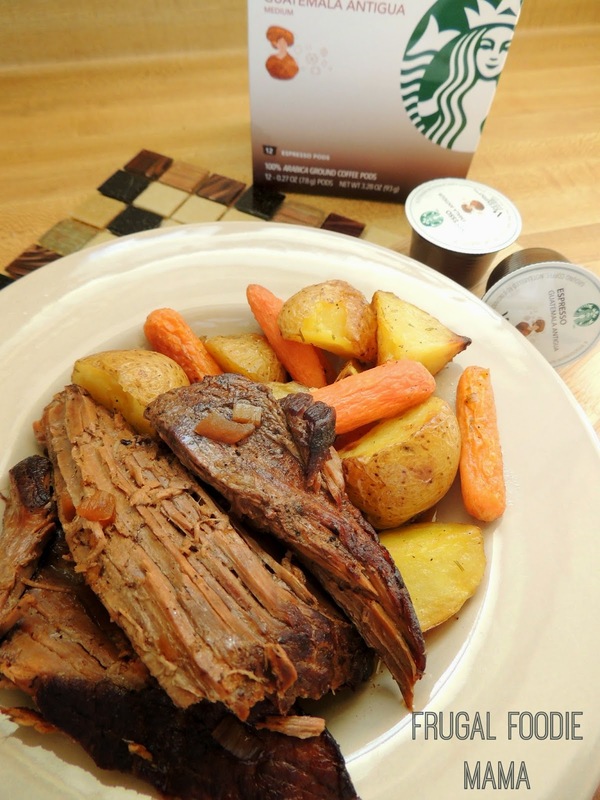 In this flavorful, moist Slow Cooker Espresso Braised Pot Roast, I have managed to deliciously combine these two favorites of mine into dinner time perfection. But there is no need for either one of those things if you happen to own a Verismo. 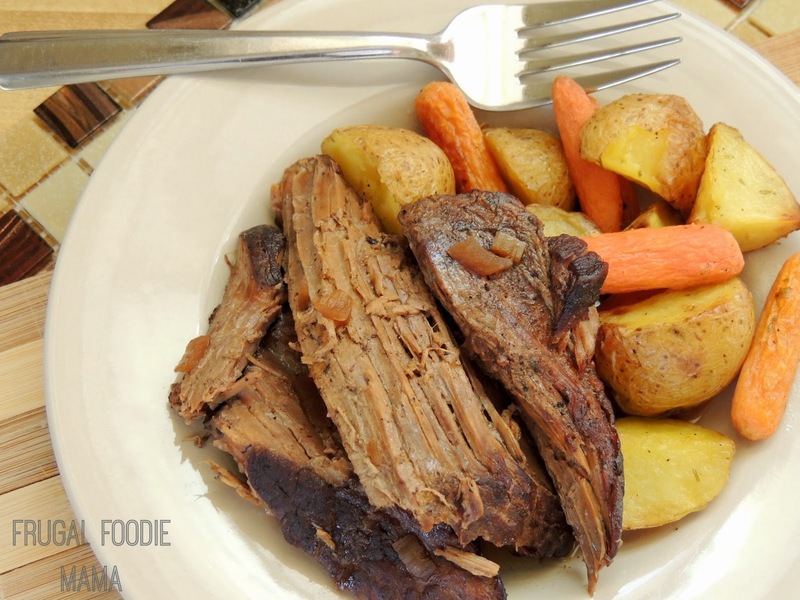 You may never make pot roast in your crock pot the same way again after trying this recipe, folks. Season the beef roast on all sides with salt and pepper. Heat the olive oil in a medium skillet over medium-high heat. Once the oil is heated, add the roast and brown on all sides- about 3 minutes per side. While you are browning the roast, prepare the rest of the ingredients. Finely chop the shallot and then toss it into a medium mixing bowl. Add in the espresso, vinegar, brown sugar, Worcestershire sauce, and beef broth. Whisk to mix well. 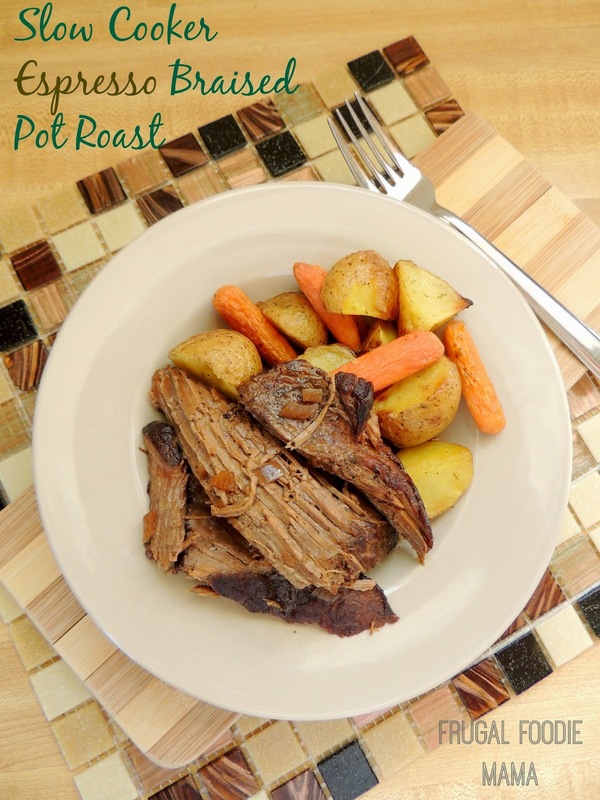 Once the roast has been browned on all sides, add it to the slow cooker. Pour your espresso mixture over top. Cook on low for 7-8 hours, basting 2-3 times if possible. Serve with mashed potatoes or simple roasted potatoes and carrots. I have to say this Espresso Braised Pot Roast just may be one of the best pot roasts I have ever made. 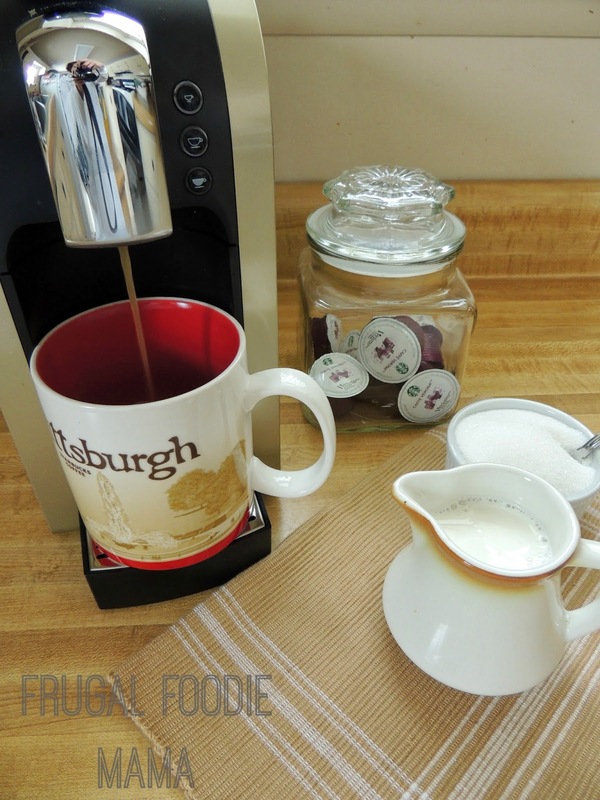 Okay, so who would like to win a Starbucks Verismo Brewer & a box of Verismo coffee pods from Staples for themselves? This could be your lucky day then because Staples wants to give one of my readers a Verismo brewer to enjoy in their home! Please see the terms & conditions below, and use the Rafflecopter to get yourself entered! *This giveaway is open to U.S. residents only. All entries for the winner will be checked and verified, so please make sure you are doing what you are claiming in the Rafflecopter or all your entries will be voided. No funny business, folks. ;). By entering, you give the right to use your name and likeness. Number of entries received determines the odds of winning. One winner will be selected. The winner will be notified via the email they provide, and will have 48 hours to reply to the email. If the winner does not reply back within the 48 hours, they forfeit the prize and a new winner will be chosen via Rafflecopter. The prize will be sent to the winner directly from Staples. Carrie of Frugal Foodie Mama is not responsible for the shipment of this prize. Entries must come from your MAIN social media accounts, not accounts that have been set up separately just for entering giveaways. Entries from these types of accounts will be disqualified. Protected tweets do not count as an entry method for tweeting. Tweets must come from a public account. No purchase necessary. Void where prohibited by law.